George Carlin's been working the crowd since "the counterculture" became "the over-the-counter culture" around 1967 or so; his new book, Brain Droppings, surfs on three decades of touring-in-support. It's the purest version of book-as-candy that one could imagine, serving up humor in convenient, bite-sized packages. Snack on chewy one-liners like "A meltdown sounds like fun. Like some kind of cheese sandwich." Or: "If you can't beat them, arrange to have them beaten." 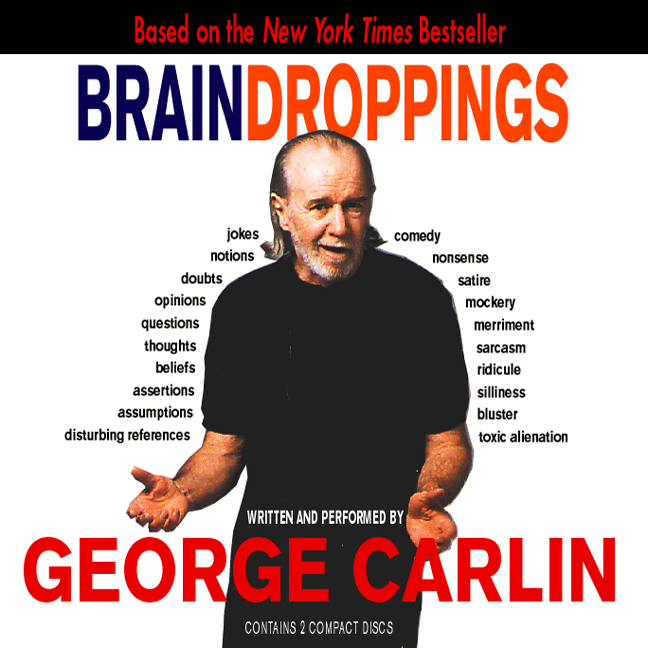 Brain Droppings also contains highlights from Carlin's concert repertoire, and that more than makes up for the occasional spray of pointless nihilism. Tell us, George, what exactly were you going for with "Kill your pet" and "Satan is cool"? Quick--hide the paper before Daddy sees it! Still, if you're a fan of this sarcastic semanticist who's given Bad Attitude not necessarily a good name, but at least a comfy bank account, by all means rush out and snag Brain Droppings. Carlin's book melts in your mind, not in your hand. --This text refers to the Hardcover edition. Thanks Dr Forrest's Cheeze Factory, daddio52! 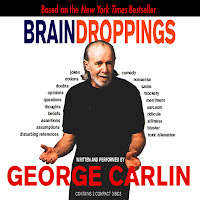 0 comments on "George Carlin - Brain Droppings 1997"